Stephany Daal is an adventurous communications professional who is based in Brussels, but her special relationship to Suriname has fueled her growing interest in travel writing and photography. Read on to hear about this special little country on the Northeastern coast of South America. Grandma Lotje was a woman of many sayings and this was one of them. She was an incredibly bright and wise individual who stood up for herself when needed. She was the kind of person who would walk up to the teacher during an exam to explain that she disliked multiple choice exams and would rather tell him what she had learned. Needless to say, she got her way and passed the exam. Her favorite subject was law and she was very well read. But she was a modest woman— well aware of the important things in life such as happiness and a good health. She was grounded and strong, kind and loving. To this day friends and relatives talk about her laughter and her cooking. My name is Stephany Daal and I’m currently based in Brussels where I work as a Communications Manager. It sounds cliché, but my biggest passion has always been traveling and experiencing the world. I was raised on the island of Curaçao in the Southern Caribbean. I have Surinamese, Curaçaoan and Jewish roots, and ended up leaving for Amsterdam on my own when I was 17. I have always traveled with my mom, but when I left for Amsterdam the adventure of solo traveling really began. Recently I began to take my writing and travel photography more seriously and I hope to take that a bit further in the coming years. 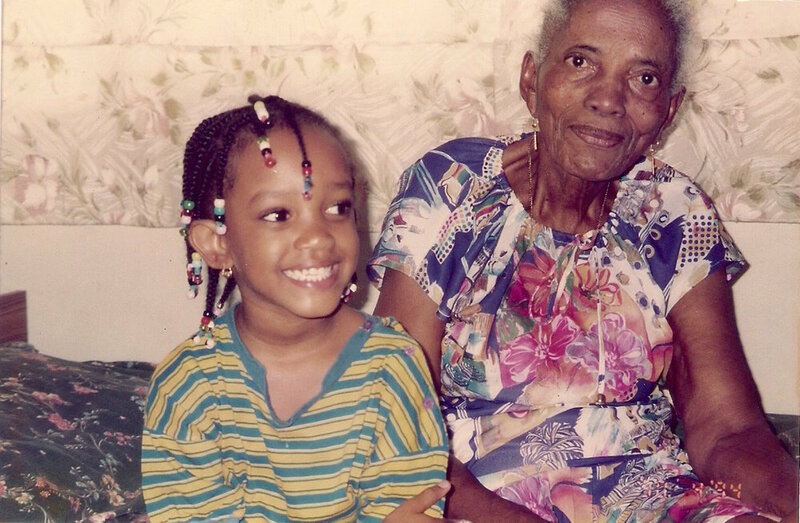 What brought you to Suriname originally, and how did being with Grandma Lotje symbolize home for you? I thank my mother for always telling me about her roots and where her parents came from. 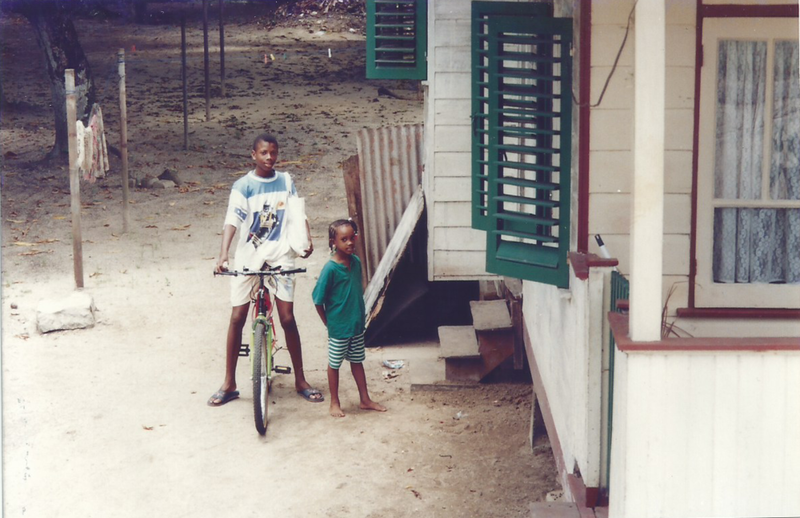 My first time in Suriname was back in 1996 when me and my mom visited family. It was Grandma Lotje’s wish to visit her home country one more time before her death, but sadly she never managed and passed away in November 1995. Suriname is like Grandma Lotje: modest and warm. Locals live a simple life and the country seems untouched by materialism. Study and work hard seem to be the motto. And you respect the elderly. It’s because of this mentality that I feel most at home amongst simple things. What brought you back to Suriname recently after 15 years? I had lived in Amsterdam for 7 years when I felt I had to reconnect with where I came from. Thus I packed my bags and left for Curaçao back in 2015. Naturally a visit to Suriname had to happen, so two months after I arrived my mom and I traveled to Suriname. Everything was exactly the same as it was 15 years earlier, from the road leading to my family’s house to the wooden houses in the historical center of the capital. It was as if time had been standing still in a world that seems to be going faster and faster. Beautiful. What can you share that people seldom know about Suriname? It’s an incredibly multicultural country! Creoles, Indians, Jews, Javanese, Chinese and Maroons (descendants of runaway African slaves) are among the ethnic groups you can find in Suriname. In addition, there are various indigenous groups such as the Arawak. It’s also the smallest independent country in South America and is considered Caribbean culturally despite its location. Which cities/regions have you visited in Suriname, and which would you recommend to travelers? I have visited Paramaribo, which is the capital, and districts Coronie and Nickerie, which are on the western side of the country. I definitely recommend Coronie, Nickerie as well as Saramacca as they give you an idea of life outside the capital. Galibi Nature Reserve to the east of the country is famous for the turtles that come and lay their eggs there. More to the South, in the rainforest, I recommend Berg en Dal, Brokopondo and Brownsberg. Tell us about Suriname’s wonders…(the Sranan Tongo language, her ecology, the capital etc). Ah, the Sranan Tongo language (also called Taki Taki) is my favorite language to listen to. It’s a creole language mixing Dutch, West African languages, English and Portuguese and sounds like a song when spoken. ‘Kon dyaso’ meaning ‘come here’ was one of the first sentences I learned as a kid since I wouldn’t always behave. Same goes for ‘no du’ meaning ‘don’t do it’ and ‘go sidon’ meaning ‘sit down’. Guess you can tell I was a handful. Sranan Tongo was sadly repressed under the Dutch rule (Suriname gained independence in 1975) as it was a language created by the African slaves. Fortunately nowadays it's widely spoken. There is more forest than cities in Suriname actually, with the entire Southern part of the country consisting of tropical rainforest. Most of the rainforest remains untouched, with Maroon or Indigenous villages scattered around the area. The coastal area in the North of Suriname remains the most cultivated but even that area is surrounded by tropical rainforest. Paramaribo is known for her historical center, which shows wooden houses dating from the colonial period. Waterkant is one of Paramaribo’s most well known streets and sitting there gives you a nice view of the Suriname river. Depending on which way you’re coming from, you have the central market on one side of Waterkant and the presidential palace on the other. Paramaribo has been on the UNESCO World Heritage Site since 2002. Please share the story behind your favorite image that you’ve captured in Suriname. It’s funny that my favorite captured image has to do with food. Red meat is pretty expensive in Suriname so locals mostly eat chicken. After one entire week of just chicken—and I’m not much of a chicken fan—I was delighted to find one of my favorite combinations of food at this restaurant: slices of salted meat and yardlong beans in a sandwich. Of course I bought two. My mom laughed so hard. What are some recommendations you have for travelers to Suriname (things to see, foods to eat etc.)? First of all, go! It’s not a very well known country, but that doesn’t make it less beautiful. Spend a few days in Paramaribo and then head out to the other districts. Suriname’s rainforest is so dense and vast that you feel the thickness and smell the humidity of the forest the moment you get off the plane. Amsoi, Antroewa, Bitawiri and Dagoeblad are among Suriname’s best tasting vegetables (and my preferred ones as a child). My favorite dishes are Bami, Roti, Moksi Alesi and Pom. Broinbonki (red beans), or BB met R as the locals call it, is a national favorite. Moving to Israel! After almost 10 years in Europe, I feel like diving into a complete different region where I’m not familiar with the average daily life, let alone the language. Israel is not an easy country to move to in terms of visa and other regulations, but I will try at least. In the words of Grandma Lotje: “Life is as a theater show; you arrive, play your role and depart.” I have decided that my role is going to be adventurous.